Sportskeeda, India’s leading all-sports website has partnered with MIUI, India’s number 1 smartphone brand’s operating system. The Cricket scorecard, powered by Sportskeeda, will now be available on all the Xiaomi devices with MIUI in India. The partnership goes in line with Sportskeeda’s objective to revolutionize how sports content is consumed all over the world. The feature, which will be available on the App Vault and the calendar, will display live scores, results, and schedule of upcoming cricket matches. While the live match-center will display the match summary, users can access the detailed scorecard and live ball-by-ball commentary with a single click on the scorecard. Xiaomi users will now also be able to choose the match or the series that they want to follow to get real-time updates on their phones. Sportskeeda is the biggest all-sports website in India with 45 Million unique users every month. It connects fans, pundits and athletes from all over the world, and offers news, real-time updates, insightful features, and videos. Sportskeeda’s massive audience base is a result of its 360-degree coverage of all major sporting tournaments which includes, but is not limited to, diverse and engaging content via articles and video formats. Sportskeeda also boasts of a massive social media reach with over 22 million fans and followers on its properties. 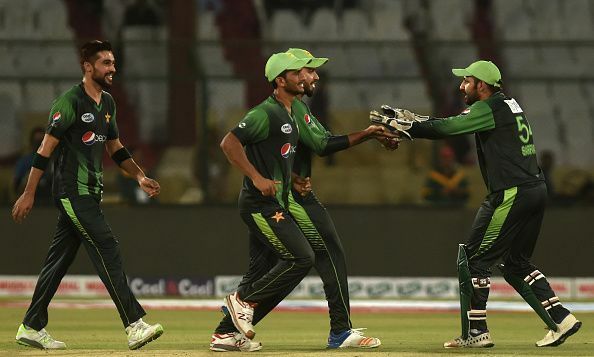 Sportskeeda has acquired the exclusive digital broadcasting rights in India for the two-match T20I series between Pakistan and Scotland starting June 12. The Grange Cricket Club, Edinburgh will host the two T20s on June 12 and June 13. Scotland, led by their talismanic opener Kyle Coetzer, head into the T20 series having posted a sensational 6-run win over England in a high-scoring thriller in an one-off ODI match on Sunday. Meanwhile, visitors Pakistan, who ended the Test series against England 1-1, boast of some exciting talents such as Fakhar Zaman, Ahmed Shehzad, Haris Sohail, Hassan Ali alongside the experienced Shoaib Malik. Sportskeeda will be live streaming both the matches on its Facebook page – SPORTSKEEDA CRICKET – from 20.30 IST onwards on June 12 and June 13. Samarth Sharma, Chief Business Officer at Sportskeeda, expressed his delight at the development. “We are extremely happy about the fact that we will be broadcasting the Pakistan-Scotland T20 matches exclusively in India through our Facebook page. It’s a big moment for Sportskeeda, and yet another feather in our cap. We are positive about moving towards even bigger things from here,” said Samarth. Sportskeeda is the biggest all-sports website in India with over 160 Million page views monthly, reaching out to 45 Million unique users every month. It connects fans, pundits and athletes from all over the world, and offers news, real-time updates, insightful features and videos. Sportskeeda’s massive audience base is a result of its 360 degree coverage of all major sporting tournaments which includes, but is not limited to, diverse and engaging content via articles and video formats. Sportskeeda also boasts of a massive social media reach with over 22 million fans and followers on its properties. A very happy new year to everyone! And 2018 could not have gotten to a better start. During the recently held Senior Kabaddi Nationals in Hyderabad, the Kabaddi Federation of India honoured Sportskeeda with an award for “Outstanding Contribution to the growth of Kabaddi in India”. Sportskeeda has remained committed to bringing the latest news and innovative content in the sphere of Kabaddi in the past year. During the Pro Kabaddi League, we registered growth of over 400% just on our Kabaddi section. Not only this, Sportskeeda was one of the very few media outlets providing in-depth coverage of the 2017 Asian Kabaddi Championships. Delightful and humbling at the same time, this award comes as a recognition and a reward for all the hours of hard work our team at Sportskeeda has put in to create and deliver great content tirelessly on an everyday basis. And coming from the Kabaddi Federation, it will only motivate us to do better in the future. Here’s hoping to scale even greater heights in 2018! Sportskeeda has added another feather to its cap as the biggest app store in the world – Google Play – has given the Sportskeeda Hindi App the “Editors’ Choice” tag. With an average Play Store rating of 4.6 out of 5 and nearing 0.5 million downloads despite being barely a year old, the Sportskeeda Hindi App is the most widely-used app for vernacular sports content in the world. It is also the only all-sports app to be included in the Editors’ Choice segment. Thorough Hindi coverage of India’s most beloved sports and events – from the ICC World Cup to WrestleMania. Each match gets its own live page with a summary, commentary and scorecards. Listen to audio news stories – or download them for later. Sportskeeda Hindi has grown rapidly over the past year, and caters to a wide range of readers. The app’s seamless design and smooth navigation have made it a hit with avid sports fans looking for real-time updates and news. The option of choosing from multiple sports and the ability to toggle between them effortlessly is what separates Sportskeeda Hindi from its competitors. Sankalp Sharma, Tech Lead at Sportskeeda, explained what went behind the thinking of the ingenious app. “Having the download size of the app as small as possible has been a top priority for us. Our engineers have taken extra miles to make sure we do that without compromising on its capabilities,” he said. All the latest news hits you as you open the app, ensuring that followers do not miss out on any of the recent happenings in the world of sport. The match-centre provides live scores and commentary from multiple games spread across different countries and time zones. From news articles, satires and interactive multi-page features to images, videos and much more, the app has it all – making it the platform of choice for the sports-crazy youth. Download the Sportskeeda Hindi App here. Ever since its inception, Sportskeeda has been championing the cause of aspiring sports writers by providing them with a platform to reach large audiences. Now, the website has gone a step further by giving both amateur and experienced sports writers a lucrative avenue to channel their skills. The revenue share system launched in August promises to revolutionize the way sports writers shape their career. Through this system, writers are paid a percentage of the revenue that Sportskeeda makes on their articles, thus ensuring a fair distribution of the benefits accrued. Sportskeeda has always been an open platform; right from the beginning, any writer could sign up and submit their contribution which, if deemed acceptable by the editors, would be published on the site. That openness remains intact; new writers are still free to register on the site and start writing. But since August, there’s been a marked difference. All the writers can now track their pay in real-time, by clicking on the ‘earnings’ tab in their profile page. This tab shows the amount accrued till date, and also gives a list of the articles that earned money. The system is off to a good start, with registrations on the Sportskeeda site having increased by about 50% in the month since the launch of revenue share. The success of the system can only be gauged after a few more months have passed, but so far, the indications are looking quite good. You can sign up as a writer at SK here. The 10th season of the Indian Premier League concluded recently after nearly 2 months of non-stop action. Plenty of records were created on the field during this extravaganza. Off the field, too, milestones were reached and records were smashed. One such century was scored by India’s biggest multi-sports website, Sportskeeda when they managed to clock an astonishing 100 Million+ views on their videos during the IPL. Sportskeeda’s one of a kind video team churned out videos on a plethora of topics. The SK video factory curated ingenious sketches like “IPL ka Punchnama”, fans’ reactions from stadiums all across the country, listicle videos showing insightful statistics of the teams and players, among others. They showcased their creativity with motion graphic videos like SK Toons and satirical videos like Fake WhatsApp conversation that tickled the bones of their massive fan base. With an aim to constantly push boundaries and provide innovative content to its users, Sportskeeda hit the masterstroke with the IPL. Their videos reached over a billion people and engaged a massive percentage of the cricket-loving population in the second most populated country in the world. An alumnus of I.I.T. Delhi, Samarth has several years of experience in Strategy, Business Development and Expansion with global multi-national corporations of repute namely Hewitt Associates, Cognizant, Deutsche Bank and TransUnion. Having worked in multiple sectors and geographies in different roles, Samarth brings with him the skills that Sportskeeda needs to scale their business to greater heights. Besides professional achievements, Samarth runs one of India’s most popular social media accounts in the name of “The-Lying-Lama” that boasts of an audience of over 100K people grown organically in a very short span of time. He is known for producing viral creative content across diverse areas of interest namely sports, entertainment and politics and his content is covered by all media platforms (online, print, TV) on a regular basis. Samarth has also written several viral articles in the humour and satire genre. Apart from media, Samarth has also contributed his ideas and scripts to the production of several videos with some of the major names in Bollywood and online entertainment space. Samarth is also a sports lover who has represented his college/corporate teams in Cricket, Snooker, Table Tennis and Football. With his diverse, global experience and leadership skills coupled with his unique blend of creativity and business acumen, Samarth will add more muscle to the talented team at Sportskeeda. The fifth edition of the Karbonn Karnataka Premier League (KPL), the franchise-based T20 cricket tournament involving cricketers from different parts of Karnataka, is all set to begin from the 17th of September at Hubli. Pioneered by the Karnataka State Cricket Association (KSCA), the league serves as a launchpad for youngsters from the state to showcase their talent on a large scale. The event is also a tribute to SDNR Wadiyar, the erstwhile prince of Mysuru. While the tournament will be live and exclusive on Sony ESPN and Sony ESPN HD channels, the KSCA has partnered with Sportskeeda for the online coverage of the tournament. Sportskeeda, via its online and social media channels, will carry tournament related news and engage with fans through the course of the event. Sportskeeda.com is India’s largest multi-sports portal with over 10 million visitors every month, and has a significant social media presence. The Olympics are a once-in-a-lifetime carnival for many, and Sportskeeda made the Rio Games a truly exhilarating experience for its readers – as reflected in its record traffic numbers. The duration of the Olympics was the most fruitful in the website’s history, with engagement levels at an all-time high. The average time spent from India on the site increased dramatically – going from 2:45 minutes earlier, to 4:24 during the Olympics. Sportskeeda’s various platforms saw a record total time spent of nearly 75 million minutes in the 19-day period from 3rd to 21st August. Over half of that time – 40.2 million minutes – was from India, which is not a surprise considering the site’s focus on Indian athletes. The Sportskeeda management has been able to pinpoint a number of reasons for this significant increase in engagement during the Olympics. The site’s live coverage of the events was widely appreciated for its uniqueness and depth. Every single event involving an Indian athlete had extensive, minute-by-minute updates on the live blogs that were specially set up for that purpose, and a majority of the traffic during the Olympics was seen on these pages. The tech improvements on the site helped improve the reader experience considerably. The live blog interface was roundly hailed by the fans, as seen in the positive comments on the pages. The concise ‘Player Tracker‘ was described by many readers as the go-to page for anyone who wanted information about all the Indian athletes in one glance. The Sportskeeda team that had travelled to Rio published several well-received exclusive stories that unearthed little-known facts about the athletes from the Indian contingent. The article on Manish Singh Rawat in particular fetched unprecedented positive feedback from all quarters, receiving nearly 1.9 lakh reads and being referenced in several other publications. There were many other articles published on the site that went viral, with the team’s writers quickly churning out impactful stories on PV Sindhu and Sakshi Malik, the two Indian medallists at Rio. Having set up its English website back in 2009, Sportskeeda ventured into the Hindi language in 2015, in order to cater to the ever-expanding regional market in India. The experiment has been hugely successful so far, and the management expects the Hindi website to grow exponentially in the coming years. There are currently an estimated 460 million Internet users in India, of which about 60 million are estimated to be Hindi-speaking individuals. The total number of the country’s Internet users is expected to rise to 650 million by 2020, but more importantly, the number of Hindi Internet users is predicted to increase three-fold – to a staggering 180 million. That represents an enormous market that is crying out to be catered to, and Sportskeeda hopes to bridge the gap with its Hindi website and mobile app. The Sportskeeda Hindi website currently draws 1 million unique monthly users, who spend an average of 2.45 minutes per session on the site. The total page views per month are approximately 9 million, which signifies healthy user engagement. The Sportskeeda Hindi website has several attractive features that have helped develop a very loyal user base. The commentary column on the site is unique, with all cricket, kabaddi and multi-sport events (like Olympics) being covered live. The features and slideshows that are regularly published on the site are also big favourites with the readers; the cricket content in particular is very popular. The Sportskeeda Hindi Android app has been an enormous success as well within a very short time, clocking an impressive rating of 4.43 and 1.5 million active sessions per month – with all of the user acquisition being organic. The app is currently ranked 9th in the list of free sports apps on the Google Play Store, which is a reflection of its popularity with users right now. Sportskeeda has also established syndication arrangements with a number of reputed publishers through its Hindi arm. The syndication partners have been making extensive use of Sportskeeda’s Hindi content on their portals, thus expanding the reach even further. Moreover, following in the footsteps of Sportskeeda’s English website, the Hindi section has a robust presence on social media. There are about 1.5 million fans on the official Sportskeeda Hindi Facebook page, all of them organic. With the changing landscape of India’s digital user-base, Sportskeeda is trying to jump-start the regional language revolution with its dedicated Hindi website. The company also plans to expand into other regional languages soon, so that the sports content needs of every section of the country’s population are met efficiently.